Rosenberg & Associates has been assisting clients with their Family Law cases for more than a decade and can help you too. Family Law requires attorneys to have compassion, knowledge, and experience with a wide variety of scenarios so the correct strategy can be implemented for an optimal outcome. When you choose Rosenberg & Associates, you get all of this and more. Below you can find information about each of these categories. A divorce is a very complicated and permanent process that separates you both physically and emotionally from your spouse. At Rosenberg & Associates, we understand both concepts, and while the legal proceeding may only deal with the physical separation (i.e. money, property, and children), we also understand that there is an emotional separation as well. The main goal of the proceeding is to equitably divide all assets and debts accumulated during marriage. It is important not to let emotions get the better of you or your attorney, and that is why it is important to hire an experienced lawyer to help guide you through the sea of emotions that you will experience during the divorce process. Divorce cases can be difficult situations for all parties, especially when children are involved. Decisions must be made for the best interest of the family and our client’s protection is our top priority. It is our job to help you retain what is yours as well as get a decision that you are comfortable with. Our advice and strategy around the divorce cases we take on revolve around making the best decisions for our clients to ensure their protection, both financially and emotionally. Call us today to set up a free divorce consultation. In a dissolution, the parties agree to all terms and work together to amicably resolve all issues in a non-adversarial manner. 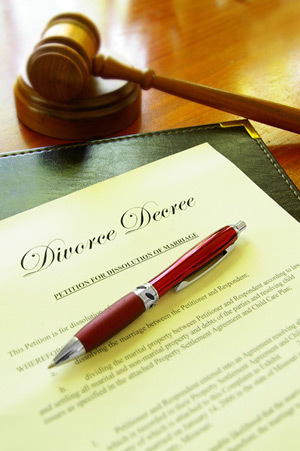 Like divorce cases, dissolution cases can be hard on family life. Our experienced attorneys will help protect you and your assets as well as assist you in making the best decisions for your family. Contact our office today to get more information on how we can be of service in your dissolution case. While child custody cases can be tough on the parents, it can be even tougher on the children. We want to help you with your child custody case and get what is best for you and your children. If you are currently looking for a reputable and knowledgeable law firm that will fight for you in your child custody case, call our office for a free consultation. We will discuss your options and help you develop a strategy moving forward. It is important that a child support order allows both parties to have adequate resources to provide for the children. If no child support order exists, we can help you establish a child support order. At Rosenberg & Associates, we can also determine if a child support modification is necessary and can give you advice on how a change in child custody will affect the current child support order. Please contact us today to schedule a consultation to discuss your options if you believe you are receiving too little or paying too much in support. Juvenile Law encompasses several areas including establishing paternity, custody, visitation, child support for unmarried parents, third-party visitation, and abuse, neglect, and dependency cases. Here at Rosenberg & Associates, we have experience in navigating these areas of law and can give you advice relating to your specific situation. Call us today to set up a free consultation to discuss all of the options available to you. Our attorneys at Rosenberg & Associates have successfully argued numerous post-decree cases (problems following the divorce) relating to child support, spousal support, and visitation rights. It is important to us that all of our clients get favorable outcomes in their post-decree cases. Call us today to schedule a free consultation and see how we can help you. This is a very common question. Divorce is a permanent legal answer that can disrupt not only your life but the lives of your children. Some parties do get along throughout the entire proceeding, and perhaps divorce is not the right choice. Another option could be a legal separation. This is a temporary option. The other option is a dissolution. In a dissolution, the parties agree to all terms and work together to amicably resolve all issues in a non-adversarial manner. Here at Rosenberg & Associates, we put our client’s interests first and will be honest with you. If we feel that divorce is not right for you, we will tell you. How do I prepare my children for divorce? People often forget about the children during a divorce. At Rosenberg & Associates, we believe that children are of primary importance. No matter what happens, the parents must ensure that the children understand that it is not their fault. Oftentimes, children who are too young to fully understand what is going on can internalize their feelings and may not fully understand why one parent is not around as often as before. Therefore, it is important for both parents to be present for the children throughout the entire process and show that they love and care for the children, no matter what happens between their parents. Though older children may understand the divorce concept and process, they still need to be reassured that both parents still love them. Additionally, there must be a unified front between both parents to ensure that the children do not believe that one parent loves them more than the other. Here at Rosenberg & Associates, we believe it is important to show the children that their parents love them and are not using use them as pawns to gain an advantage against the other parent in an adversarial divorce action. That is a very common question, but a very important question as well. Every situation is different and sometimes you don’t. Here at Rosenberg & Associates, we will help you decide if legal representation is necessary. Oftentimes when you are looking for a divorce, dissolution or help with another domestic relations issue, the answer might be yes, but at Rosenberg & Associates we will help you determine what option is best for you.